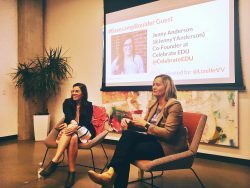 At the end of last month, our Co-Founder & CEO Jenny Anderson spoke at Women Who Startup’s monthly event #BasecampBoulder. She spoke to a group full of women about the unconventional path that led her to start Celebrate EDU, the lessons she has learned, and shared advice for aspiring entrepreneurs. We are so thrilled to participate in such an incredible event for women. Thank you to Lizelle van Vuren & the entire Women Who Startup community for welcoming us to your stage! 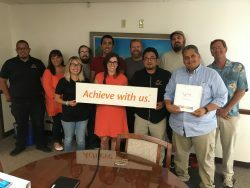 Celebrate EDU has been awarded a contract through the Rocky Mountain Human Services Mill Levy Program to provide our Entrepreneur Education Information Sessions, Kindling Workshops, and The Spark Program to individuals with I/DD in Denver County. This fantastic opportunity will allow us to impact hundreds of lives over the next 7 months. We are thrilled by this opportunity and can’t wait to share the results of our efforts. People have supported Celebrate EDU in many different ways since our founding, but our new friends, Mortal Threads, may be the most creative ever! 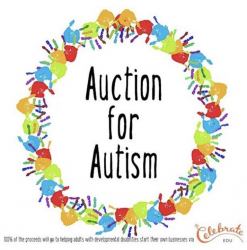 On April 2nd, in honor of World Autism Day, they hosted an Instagram auction in partnership with over 30 other stores. Each of these partners donated products ranging from Harry Potter shoes, to jewelry, to knitted cacti, and 100% of the proceeds from the auction went to support Celebrate EDU programs to benefit entrepreneurs with disabilities. To top it all off, they raised $1,524! We are so thankful to each and every store that donated products for the auction, and to Mortal Threads for thinking of us, and helping us to empower young adults with disabilities through the power of entrepreneurship! We can’t wait to share the impact of your generosity. 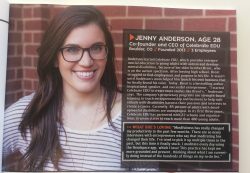 We are so excited to announce that our Co-Founder & CEO, Jenny Anderson was named one of Conscious Company Magazine’s 19 social entrepreneurs to watch in 2017! What an honor to be recognized among other inspiring entrepreneurs who are leading change around the country. Conscious Company magazine is the first nationally distributed publication in the US to focus solely on sustainable business and business as a force for good. Conscious Company Media shares inspiring, cutting edge stories about business as a force for good, and connects talented individuals with purpose-driven work, all with the higher purpose of elevating consciousness in the business world. Be sure to pick up the March/April issue that features Jenny on stands now! We did it… 10,675 miles traveled, 36 popcorn businesses created, 16 entrepreneur guest speakers, and 72 hours of fun. 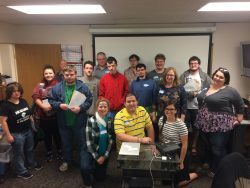 Our Kindling Tour, sponsored by Autism Speaks, educated a total of 152 individuals (ages 13-60) of which 90% are diagnosed on the autism spectrum. 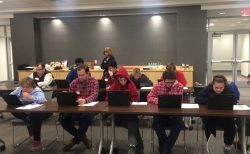 We also provided 10 information sessions where 88 family members, educators, and service providers learned about the benefits of entrepreneurial education for young adults with disabilities. 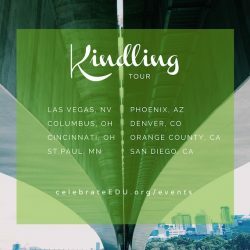 We look forward to providing Kindling Workshops to more people around the country in the upcoming year! 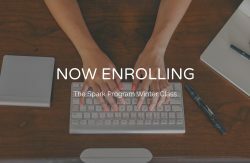 The Spark Program online course teaches the basics of business and entrepreneurship to young adults with developmental disabilities. Students take assessments to identify their interests and strengths and choose their own unique business idea to explore throughout the course. The 8-week course consists of more than 100 video lessons and activities that teach the business concepts of customers, competition, price, and revenue. Students learn basic business etiquette and how to talk with others about their business idea. 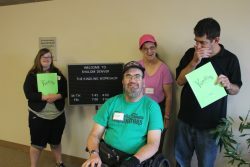 We are proud to have empowered so many individuals with disabilities with our fun, interactive Kindling Workshops this year. Thanks largely to a generous award from Autism Speaks, we were able to host Kindling Workshops in cities across the U.S. In each location, students create their own popcorn business determining their customers, competitors, and competitive advantage. This exercise teaches the basics of business development while encouraging teamwork and creativity. They also practice business etiquette and take individual assessments to help them think about the business ideas they want to pursue in the future. We are looking forward to hosting more Kindling Workshops in 2017! Last year, we began our partnerships with schools and organizations to provide The Spark Program for students with developmental disabilities. At the end of 2015, we had 2 partners. This year, we are thrilled to be working with 8 new organizations in 5 states. Our growing list of partners allows us to impact the lives of hundreds of young adults with developmental disabilities. It’s that time of year again! Today is #GivingTuesday and you can help us Celebrate the Season by giving to our holiday fundraising campaign. Last year we received over $10,000 from our generous donors and hope to raise $15,000 this year. 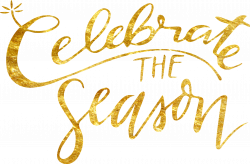 2016 has been one of huge change and expansion for Celebrate EDU. For starters, we changed our organization name to be more inclusive of all disabilities and we have expanded our partnerships into 6 different states, impacting hundreds of lives. None of what we do would be possible without the support of our friends, family, and generous donors. We are grateful for all who have helped us on our mission to change lives. We can’t wait to see the impact we will make in 2017! We are thrilled to announce that we have received an award from Autism Speaks to put on 10 Kindling Workshops in 10 cities around the United States! The goal of this partnership is to reach 150 young adults with developmental disabilities through our workshops while also spreading awareness about the value of entrepreneurship education through the informational sessions we are also hosting in each city. We are so grateful for this opportunity and hope to see you in while we’re on the road! Check out our schedule here.